Our green finish is a deep forest green with highlights of black and patina giving depth and texture to the color. 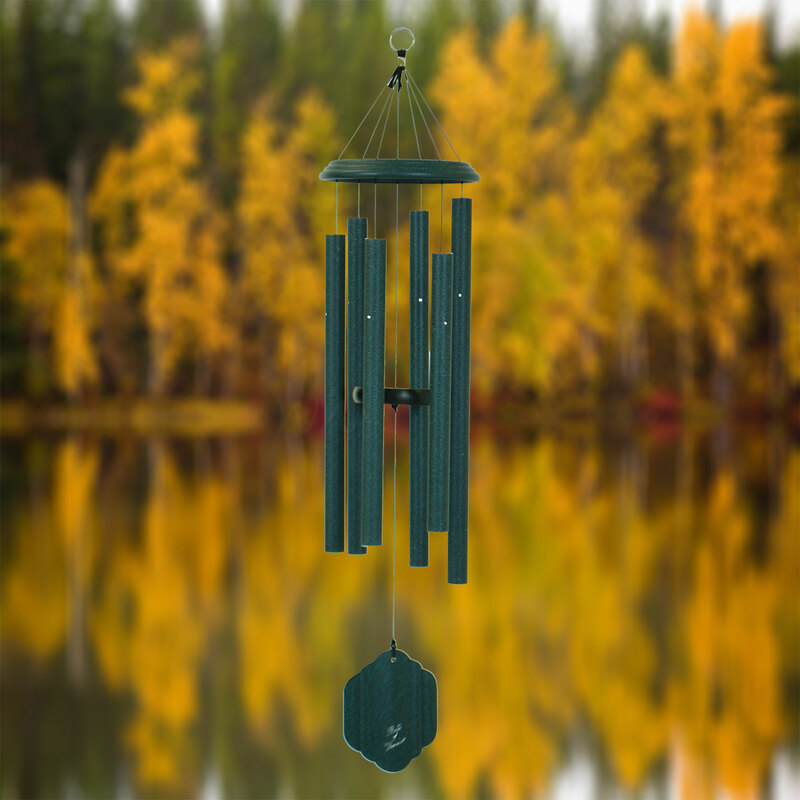 One of Bells Of Vienna windchimes most popular colors, it compliments the outdoors and neutral colors of your home. Bells of Vienna's centrally suspended aluminum tubes and very high-density striker, produce incredible tones, outstanding resonance and are visually and acoustically exceptional. Top Ring, Tubes, and Sail are coated aluminum and the cord is a strong synthetic weave. The striker is adjustable and can be raised above the tubes to help "turn down" the chimes on very windy days. The tubes are powder coated the same color as the top and sail, giving a complete, finished look to the chime. (not tube length)- hanging ring to the end of the wind sail. This chime is 36" long.